Originally, acoustic waves were used for the fragmentation of kidney stones exclusively because of their mechanical effects. 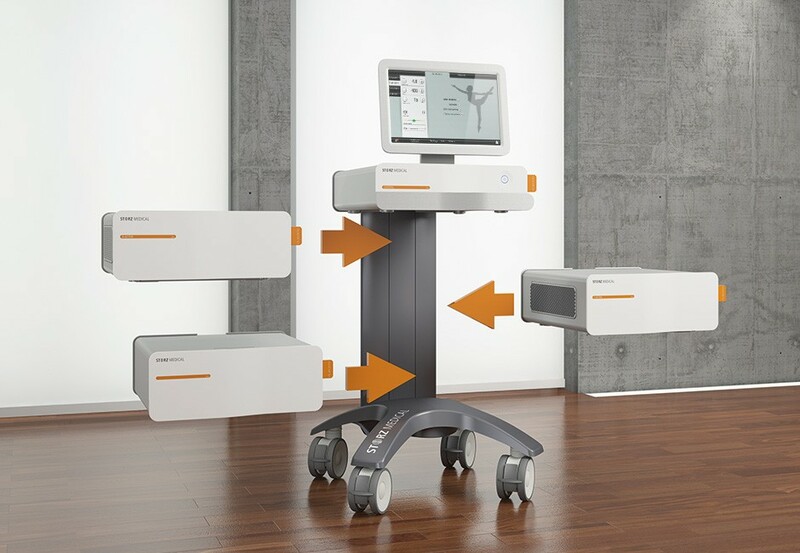 Recent studies have revealed that acoustic waves produce biological effects that may stimulate metabolic processes and improve connective tissue elasticity in aesthetic therapy. 1. Short high-energy defocused waves can be used for fat breakdown in the tissue, for instance. Ultrasound measurements (optional) of the fat tissue layer can be performed to document the therapy progress. 2. Long low-energy radial waves are applied to areas near the skin surface. They are used for purposes such as improving the elasticity of connective tissue or anti-cellulite treatment. 3. Stimulating vibration pulses are applied over large areas to stimulate tissue structures and the lymphatic system. They can also help to enhance muscle relaxation. Because of the modular design of the CELLACTOR® SC1 »ultra«, both new users and experienced practitioners can use the system according to their own specific requirements. The modular system is designed to grow with the changing needs of the medical practice, offering a range of upgradable features, each one providing billable patient benefits. Thanks to the ultra modern touch screen technology and a menu-driven user interface, the CELLACTOR® SC1 »ultra« is designed for operator ease of use. The self-explanatory icons on the clearly and concisely structured screen ensure a short learning curve to achieve full operational functionality.